If you purchased a new Mercedes-AMG® model in the last twelve (12) months, a complimentary seat at any of the PERFORMANCE Training programs has been reserved for you or a credit of $1,895 can be put towards ADVANCED, PRO, or PRO+ training, if prerequisites are met. AMG® Purchase Rewards cannot be applied towards the DRIFT program. Registration and attendance for the complimentary program must occur within one year after the purchaser takes ownership of a new Mercedes-AMG® vehicle and is non-transferable. All of the Mercedes-AMG® vehicles used throughout the program are provided by AMG® Driving Academy. *Rules and regulations are available online. 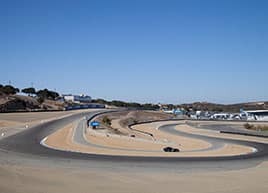 Racetracks are subject to change in calendar year in MBUSA’s sole and absolute discretion. What is the purchase reward? 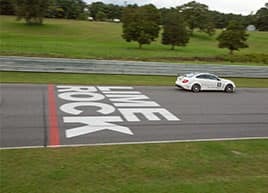 It is a one day track experience at AMG® Driving Academy PERFORMANCE Training. All new Mercedes-AMG® vehicles purchased in the U.S. qualify for the Purchase Reward Program. A customer has one year from the date of delivery to register and attend using the Purchase Reward Program. Is this valid for CPO or used AMG® vehicles? No, it is not valid for CPO or used AMG® vehicles. It is only valid for purchase or lease of new AMG® vehicles. Does the purchase reward have any cash value? Can an owner/lessee sell the purchase reward? No, there is no cash value, it is non-transferable and is only for legal owner/ lessee. 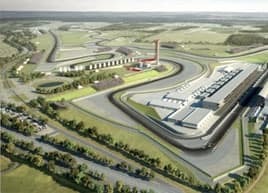 Can a customer apply the credit towards another AMG® Driving Academy program? Yes, a credit of $1,895 can be applied to ADVANCED, PRO, or PRO+ courses if the customer has met program prerequisites. AMG® Purchase Rewards cannot be applied towards the DRIFT program. When can a customer register for the program? Customers can register once vehicle delivery has taken place. MBUSA will validate legal delivery within 30 days of customer reservation. How many times can a customer attend? One Purchase Reward experience per Mercedes-AMG® vehicle purchase or lease with no limit on purchases/leases. Can a dealer register a customer? Yes, a dealer can make a reservation on a customer’s behalf. Are there any age or residency requirements in order for customer to claim the purchase reward? Customers must be 21 years old and legal U.S. residents to participate. Are travel, meals and accommodations included in the purchase reward? No, accommodations, travel and meals, other than on track meals, are not included and are the responsibility of the customer. 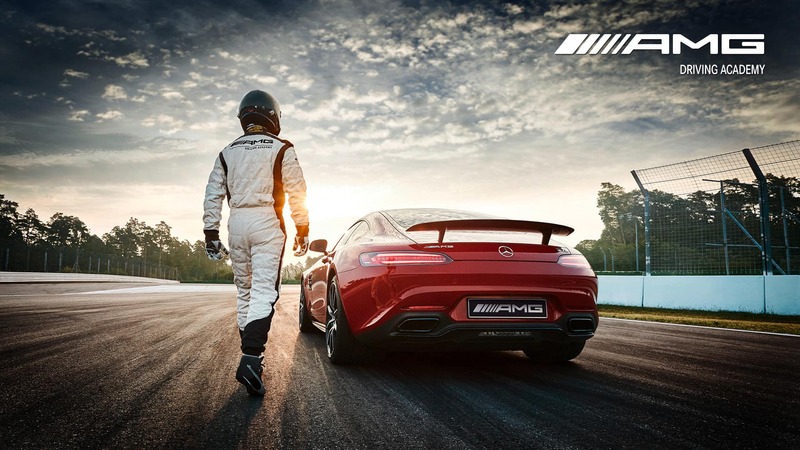 How much time do customers have to register and participate in AMG® Driving Academy? A customer has one year from the date of delivery to register and attend using the Purchase Reward Program. Program, together with breakfast and lunch at the track. It does not include travel, lodging and additional meals, which remain the responsibility of the reward recipient. A credit of $1,895 can be put towards ADVANCED, PRO, or PRO+ training, if prerequisites are met. AMG® Purchase Rewards cannot be applied towards the DRIFT program. MBUSA will, in its sole and absolute discretion, assign participation dates and track assignments for each eligible reward recipient on a first-come, first serve basis based on participant registrations and track availability after the eligible reward recipient has properly registered in the manner set forth below. The purchase reward has no cash value and cannot be exchanged and/or substituted for any other rewards. All legal US residents twenty-one (21) years of age or older with a valid US driver’s license who purchase and/or lease a new Mercedes-AMG® model in the last twelve (12) months are eligible to claim the above-mentioned AMG® Driving Academy purchase reward. Only 1 AMG® Driving Academy purchase reward per AMG® vehicle may be claimed. 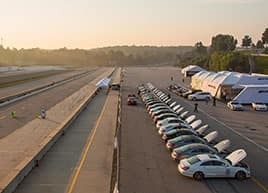 The reward recipient shall provide MBUSA and/or AMG® Driving Academy with proof of age, identity and driving status prior to being allowed to participate in AMG® Driving Academy. The owner/lessee of the new Mercedes-AMG® vehicle must claim the AMG® Driving Academy purchase reward and actually attend AMG® Driving Academy within one (1) year after he/she obtains delivery of the new Mercedes-AMG® vehicle, subject to delivery verification by MBUSA. In order to claim the AMG® Driving Academy purchase reward, the owner/lessee must register with AMG® Driving Academy Registration Center. As part of the registration process, the owner/lessee shall be required to provide his/her name, address, phone number, Vehicle Identification Number of the eligible new AMG® vehicle, as well as a valid credit card at the time of registration. The owner/lessee shall forfeit the AMG® Driving Academy purchase reward if he/she fails to properly register his/her new Mercedes-AMG® vehicle and/or attend AMG® Driving Academy within the above-mentioned 1-year period. If owner/lessee fails to cancel 30 days in advance of their event, or does not show up to ADA when they are registered to attend, a $250.00 charge will apply. In MBUSA’s sole and absolute discretion, the reward recipient shall be required to forfeit the AMG® Driving Academy purchase reward if he/she: (i) declines or cannot accept, receive or use the AMG® Driving Academy purchase reward for any reason; (ii) fails and/or refuses to comply with applicable Federal, State and/or local laws; or (iii) fails and/or refuses to comply with these Rules, Terms and Conditions. The owner/lessee of the new Mercedes-AMG® vehicle cannot transfer the AMG® Driving Academy purchase reward to any other individual or entity. The reward recipient will not be allowed to use his/her personal Mercedes-Benz/Mercedes-AMG® vehicle as part of AMG® Driving Academy. In order to claim the above-mentioned AMG® Driving Academy purchase reward, the reward recipient must first sign a Release and Waiver which specifically sets forth that he/she hereby releases and agrees to hold harmless MBUSA and its parent company, subsidiaries, affiliates and authorized dealers, and each of their respective directors, officers, shareholders, agents and employees (collectively, “Releases”) of, and from, any liability, costs, damages, expenses, attorneys’ fees, court costs, and obligations of any kind arising out of, or related to his/her acceptance and/or usage of the AMG® Driving Academy purchase reward and/or participation in AMG® Driving Academy. MBUSA, in sole and absolute discretion, reserves the right to cancel, supplement and/or modify AMG® Driving Academy, as well as any of the subject terms and conditions regarding AMG® Driving Academy and the above-mentioned AMG® Driving Academy prize at any time without notice.